With two backpacks, one guitar, and a month’s supply of whiskey and chocolate, brother and sister Connor and Karlee Hormell found themselves living in a campervan in the backcountry of New Zealand in November of 2016. Luckily, the Sacramento, CA natives found just what they were looking for, a new batch of songs and a new sense of purpose in their music. 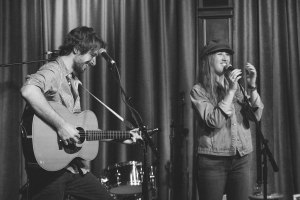 It was in the van that the siblings planted the seeds for the their americana/folk project, me&you, and wrote their latest EP release, Chasing Trails (July 2018). After returning to the states, the pair connected with producer Ben Tolliday (Lord Huron, Hozier) in Los Angeles, CA and instantly knew they’d found a home for the songs they’d written on the road. With Tolliday producing the project, the duo recorded the 5 song EP with an all-star cast of musicians; Matt Mayhall (Aimee Mann, drums), Anna Butters (Phoebe Bridgers, bass), Aaron Embry (Willie Nelson, Edward Sharpe and The Magnetic Zeros, keys), and Brett Farkas (Lord Huron, guitar). 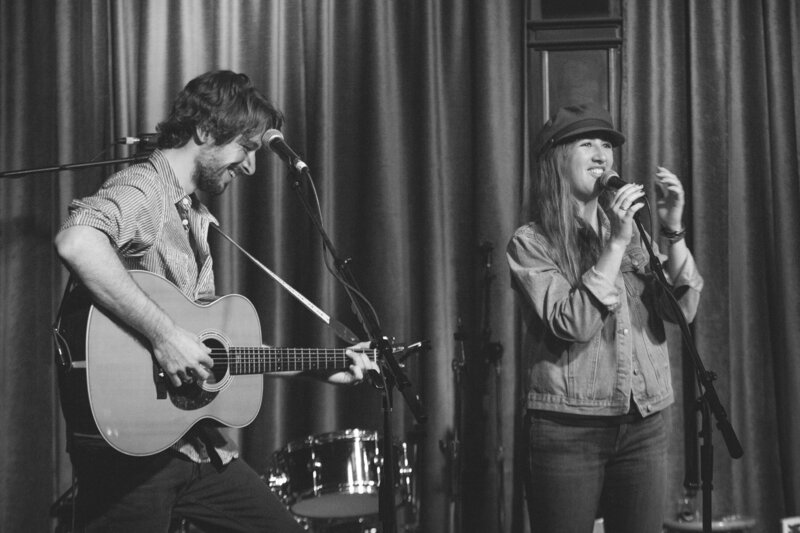 Having grown up together playing music, the siblings’ innate harmonies and chemistry on stage naturally lend themselves to the homeyness of their folk, americana, and country roots. Described as a “warm summer night, out having a beer with friends” by Sacramento News and Review, the band’s “instantly infectious, jangly folk-rock” (For Folk’s Sake) has garnered them opportunities to support John Paul White (Civil Wars) on tour and open for artists Barns Courtney, Kris Allen, Crystal Bowersox, Robert Ellis, Tyrone Wells, Jon Foreman, Bastille, and Blue October among others. Nick Foster: From the Foothills of Northern California come Nick Foster; a singer/songwriter and one-man band. Painting aural landscapes under melodic storytelling, his classic yet original folk sound is based around timeless lyrics, acoustic guitar, dancing harmonica, and ear-burrowing melodies. Nick’s voice has been described as a haunt of Neil Young. His feet operate a 70’s Ludwig kick drum, snare drum, and tambourine, creating life-giving rhythms. These stories are told over delicate fingerpicking and powerful percussive strumming, or a sweet spot in between. Simplicity in the song is a striking point with Nick’s songwriting, hoping to deliver something every audience can take home.